Gentle Haircuts, Without the Buzzzz! No more tears! 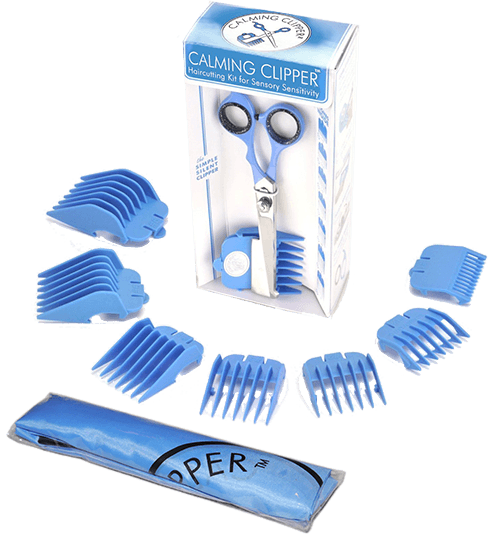 Calming Clipper® is the silent haircutting solution for individuals with sensory sensitivity. "Mowgli gets vicious toward groomers and vets. To my amazement, he sat perfectly still while I groomed him with Scaredy Cut - he even seemed to enjoy it! - and he looks absolutely adorable." "Angel feels more comfortable with her pet parent giving her the Royal Treatment!" "Fox had a great groomer that moved but no one else ... could handle him. Fox handled Scaredy Cut well and I get to save time, money and aggravation. Thanks!" "Oreo hates the noise of electric razors and would run away and snap at it. ... Just when I was about to give up hope I found your product." It's silent - no buzz! 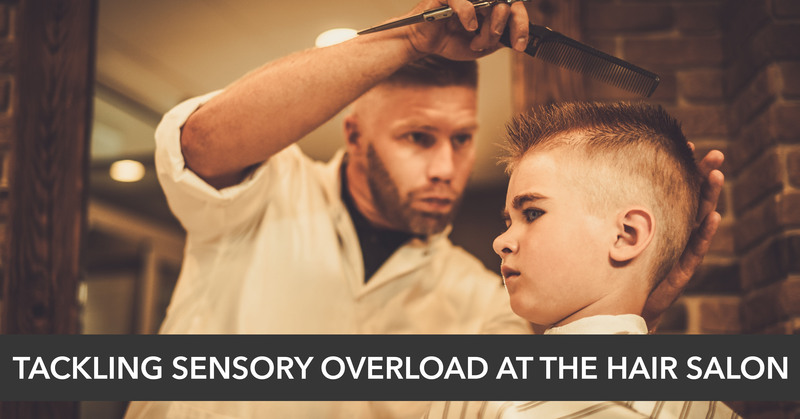 Every day, we hear stories of haircut trauma endured by those with sensory sensitivity, Autism Spectrum Disorder, and Sensory Processing Disorder. 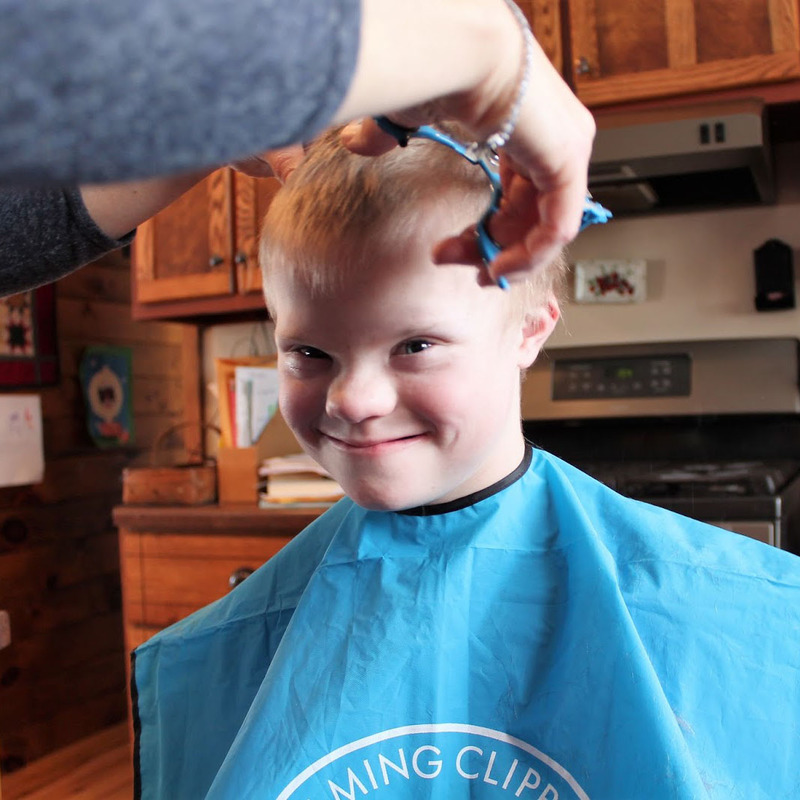 Inspired by all the parents who shared their experiences, we created Calming Clipper to make haircuts manageable, gentle, and even fun! 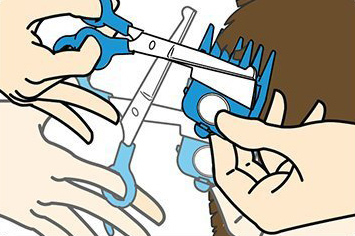 Anyone can give a great haircut with Calming Clipper. 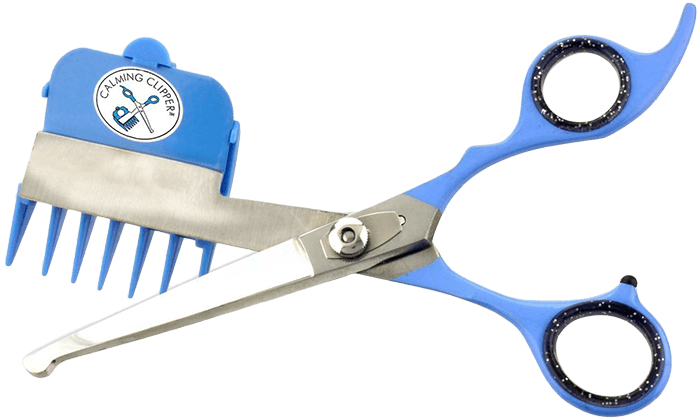 Its patented design allows anyone, from first-timers to experienced haircutters, to give a professional cut in the comfort of home. The barbershop can be an unfamiliar place for children. And it's a pain to reschedule if they're not in the mood to go. With Calming Clipper, haircut on their schedule, from the comfort of their favorite place, whether it's on the couch or in the bathtub. Calming Clipper comes with seven guide combs, like the ones found on a traditional electric clipper (but without the buzz!). 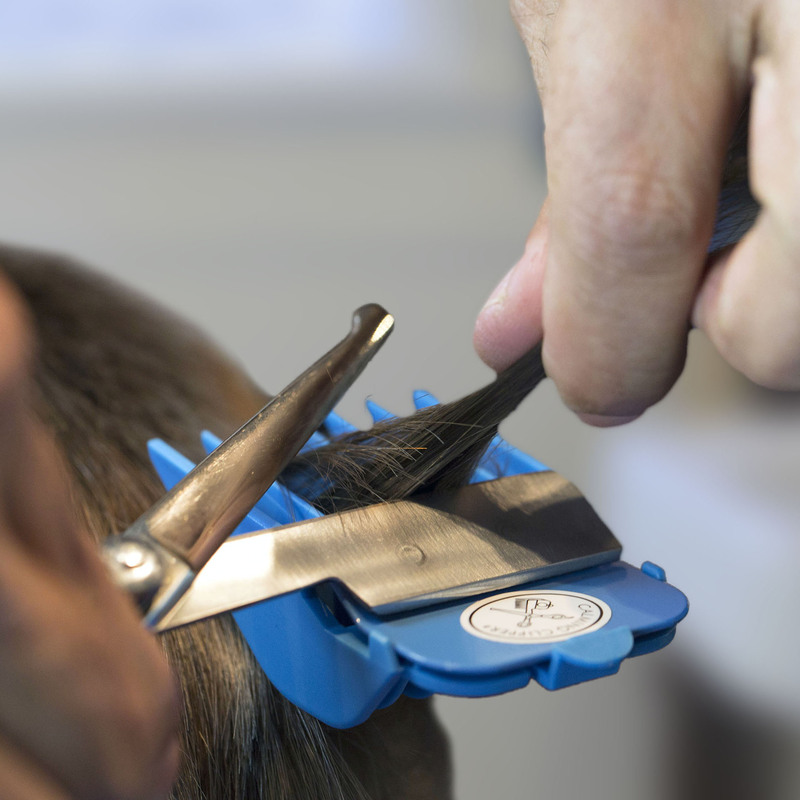 Feel confident that you’ll get the length you want, while maintaining an even cut all-around. For your comfort, we've included two sizes of gel finger inserts, so you can customize your snugness level. 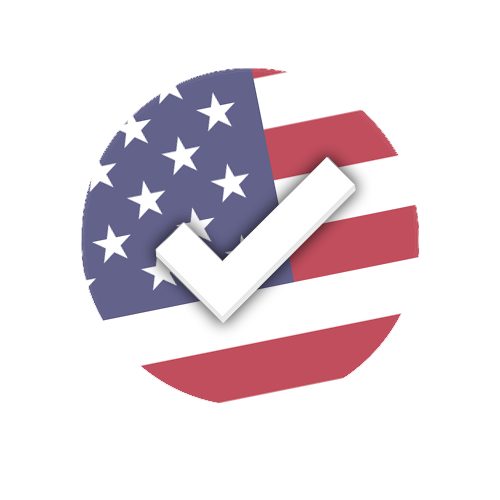 We take our guarantee seriously. 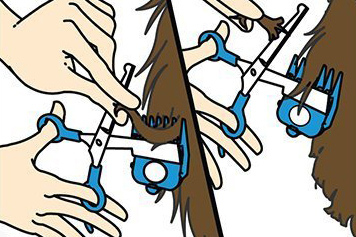 If haircuts aren't easier, then we'll happily refund your order. Start by combing up against the direction of hair growth. 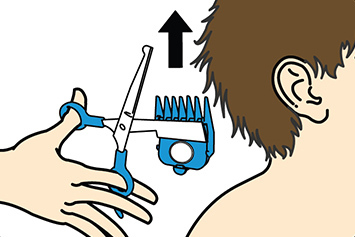 Cut off longer hair holding one lock out at a time. Even the surface out with rapid cutting. 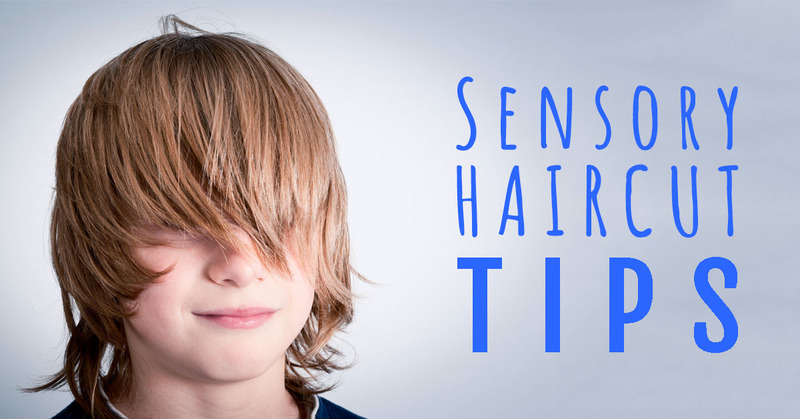 What is sensory sensitivity, or hypersensitivity? Can I sharpen my Calming Clipper® blades? In mid-2017, we began manufacturing Calming Clipper without a serrated blade because it cuts a larger variety of hair textures more easily. So check your clipper: does it have a serrated lower blade? 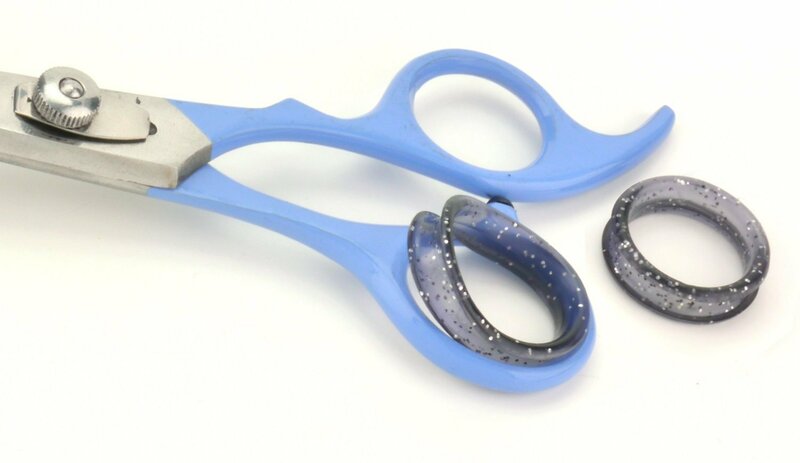 If it does, you may sharpen the upper blade with a traditional shear sharpener. We don't recommend sharpening the serrated blade. Do I need to wash the hair before cutting? Not at all. 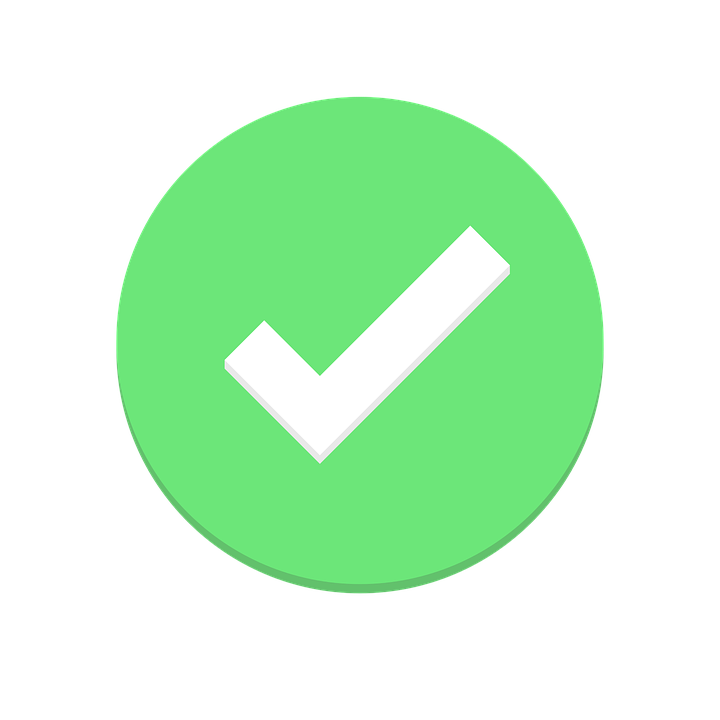 Dirty hair will dull blades over time and so our professional advice is to wash hair first. 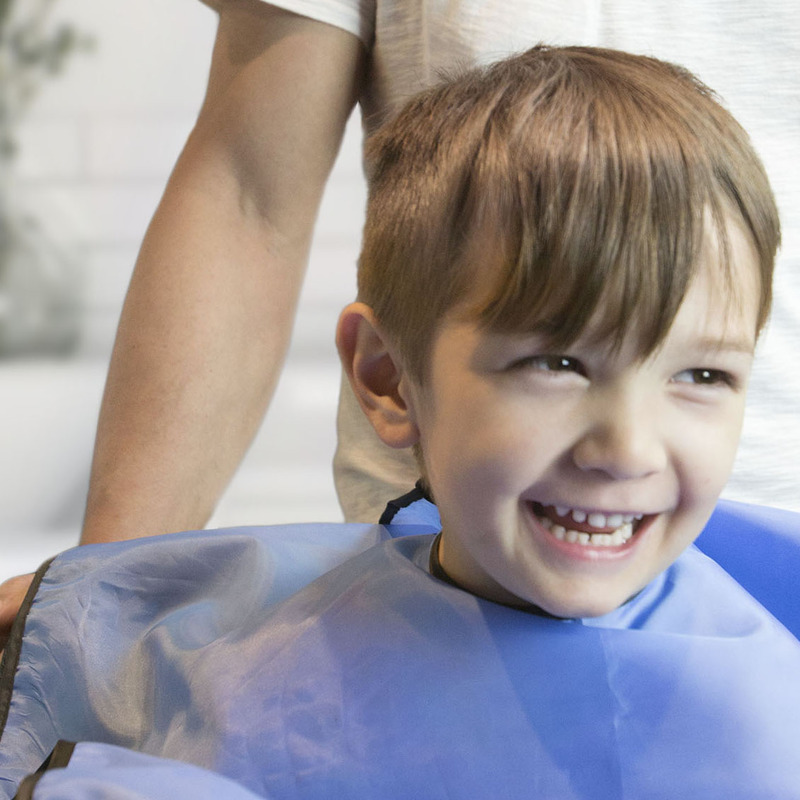 However, we believe that comfort and happiness is ALL that matters, so we recommend paying attention to the many other needs of your child (e.g., time of day, stress level) to determine if it's a good time for a haircut. 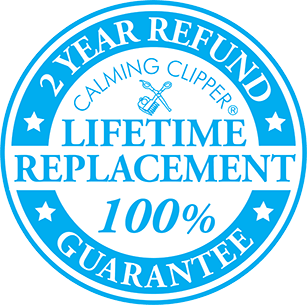 CALMING CLIPPER: Made in USA!